Castle Monte Christo belongs to Jean-Pierre Complin, a farmers son. He moved to Bordeaux in 1968 after completing his studies in agronomy. Helping many wineries and advising on the technical use of the products, he very quickly took place in the wine environment. However, he decided to make his own account and bought the beautiful Monte Christo Castle whose name comes from the place where it is located. 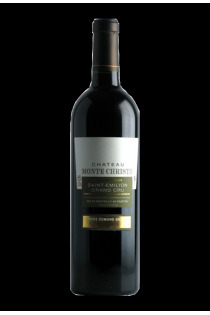 Its wines are made from a blend of 60% Merlot and 40% Cabernet Franc.